It is a proven scientific fact that cold air is denser than hot air, which means that an engine breathing cold air is going to make more power than the identical engine breathing hot air. The quest for cold air is what drives the AIRAID® Cold Air Dam Intakes. The CAD Intakes retain the stock filter location but give the stock intake system a big boost with the addition of a huge air inlet that provides a steady, free-flowing supply of cold air. This is done via Cold Air Dam panels, which mount in the factory air box location and utilize any factory cold air inlet ducts that are present, while adding additional cold air passages to the filter. These panels also keep the filter isolated from the hot engine compartment air by sealing to the underside of the hood via blade-style weatherstripping. 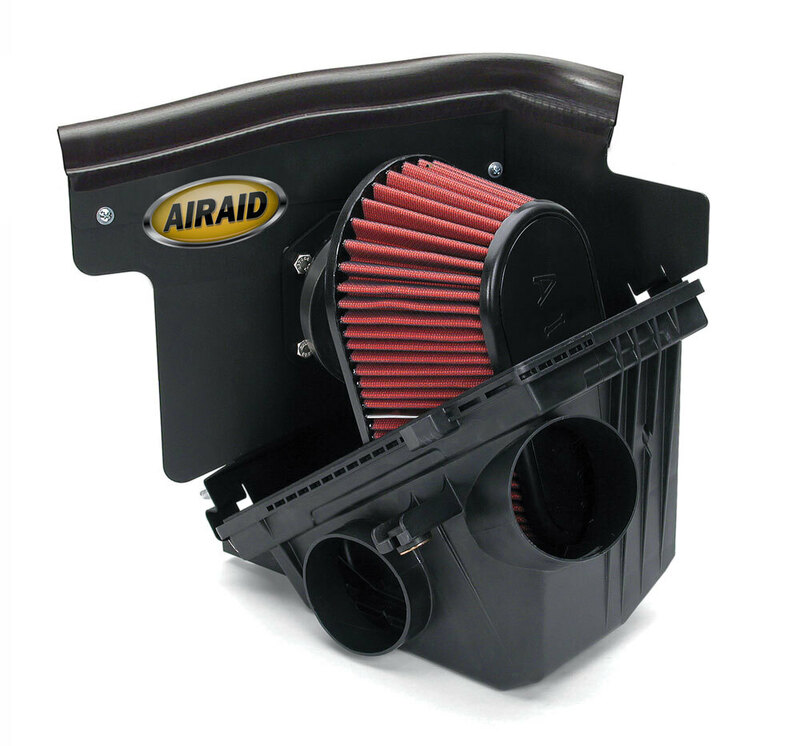 Each AIRAID® Cold Air Dam Intake is designed specifically for each vehicle application and offers a simple, trouble-free installation using simple hand tools. Like the rest of the AIRAID® systems, the CAD Intakes are Made in the USA and include all the necessary installation hardware as well as easy-to-understand instructions written with the do-it-yourselfer in mind.